Business executives and coaches constantly debate on the one asset that is needed to succeed in the business world. Some individuals say that charisma is essential, others note teamwork as indispensable. Still, a third group states that each individual situation calls for different leadership styles. Above all else, success in the business world depends on your network. You can have charisma, the ability to lead a team, money, and heart but if you don’t have a network of connections that can help your business, you won’t make it very far. 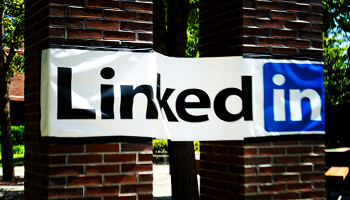 Developing or growing your network is easy, especially with LinkedIn. Let’s take a look at how you can use LinkedIn Groups to form a helpful and formidable group of allies in your niche. LinkedIn Groups are communities of people with one particular interest or quality in common. There are a wide range of LinkedIn Groups, including groups for marketers, musicians, evangelists, and comic book fans. Whatever your niche or interest, there is probably a group. If there isn’t, you have the ability to create a group in order to build a community of like-minded individuals. How do LinkedIn Groups operate? LinkedIn Groups operate like message boards. Members can post topics, articles, or interesting facts and other members can comment appropriately. It’s a great way to spur on communication and to build rapport with people who are a similar mindset or interest. LinkedIn recently revamped their Groups section and now users can “Like” other posts and a most popular posts feed displays when you first enter the group, giving it more of a Facebook-ish feel. Some Groups also have sections for job postings and promoting your work, which only increases the usefulness of the group. How can I use a group to grow my network? There are three ways that you can use a LinkedIn Group to grow your network. First, you can post various articles and opinionated questions in order to generate responses from others. Once members have responded, continue the conversation and build rapport. There is no point to post threads if you’re not going to respond to the insight other people have given. Second, respond to postings that other members started. This will show that you are an outgoing person and that you don’t mind sharing your opinion. Just as if you were starting the thread, be sure to respond when someone else comments on your thoughts. Generating conversation builds trust and influence. Finally, you can use the Members tab to see the members of the group and you can strike up private conversations with individuals. If you are looking for individuals in the Chicago area to meet and brainstorm marketing ideas, you might go through the members of various marketing groups and ask Chicago-based professionals if they would be interested in attending. If you go this route, make sure that you don’t come across as a spammer. No one likes people who spam and are only looking out for themselves. Once you have found some interesting people, whether its through conversation or the membership list, send them an invitation to join your network. If they find that you would be a beneficial part of their circle, they’ll accept. There you have it–growing your network through LinkedIn Groups.